Kukje Gallery/Tina Kim Gallery will participate in Art Basel Miami Beach at the Miami Beach Convention Center from December 6 to 9, 2018. 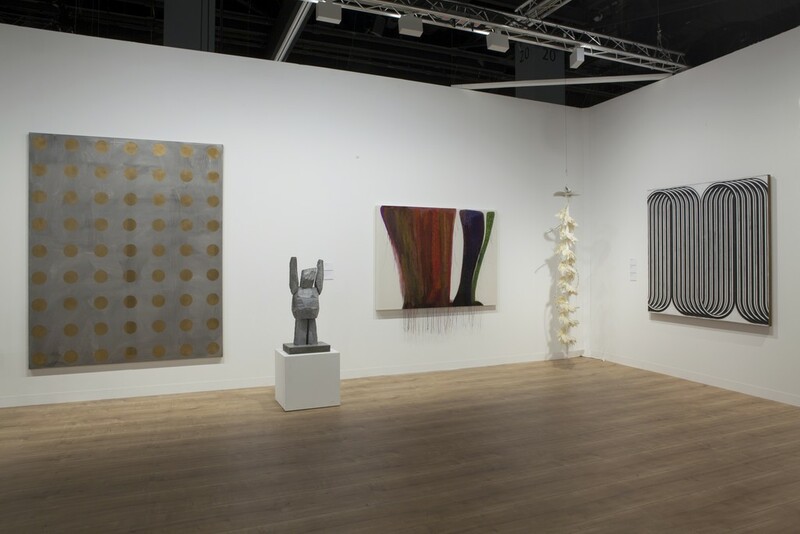 Widely acknowledged as one of the “world’s top 3 art fairs,” Art Basel annually hosts leading shows in Hong Kong (March), Basel (June), and Miami (December) for four days each. 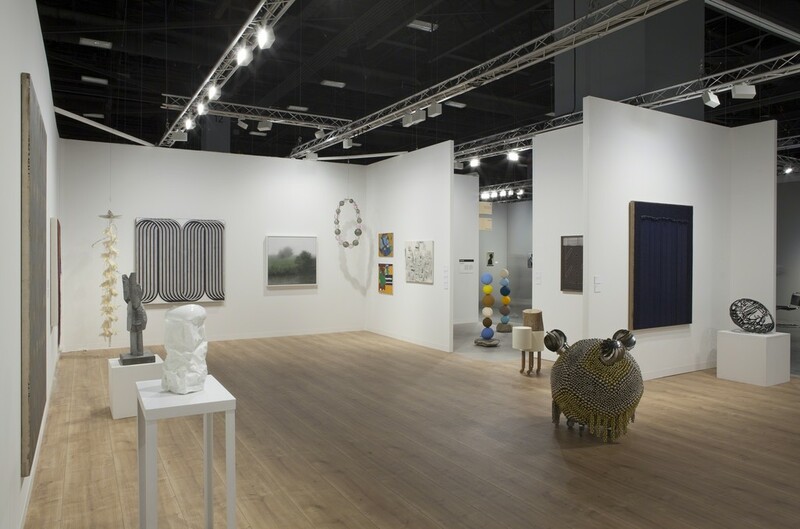 Art Basel Miami Beach, the iteration of Art Basel that is known for a younger and more adventurous atmosphere reflective of its surroundings, was launched in 2002. 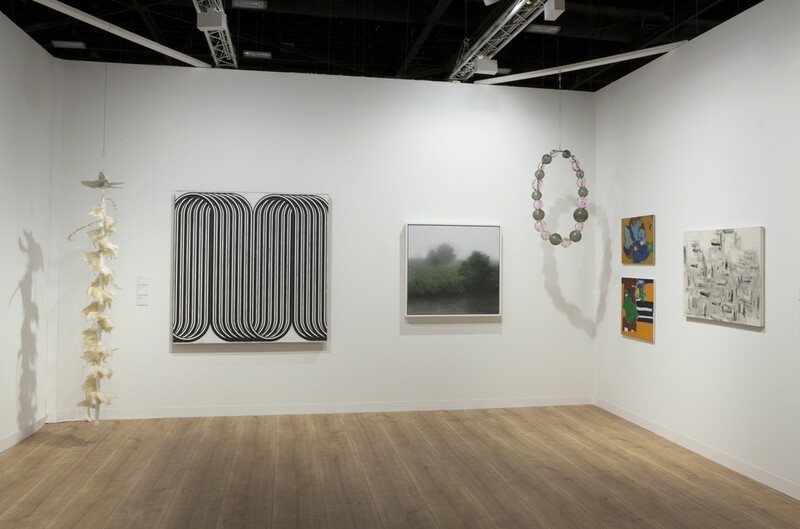 There will be 268 participating galleries from 35 countries all over the world including North America, Latin America, Europe, Asia, the Middle East, and Africa, with 29 galleries exhibiting for the first time. 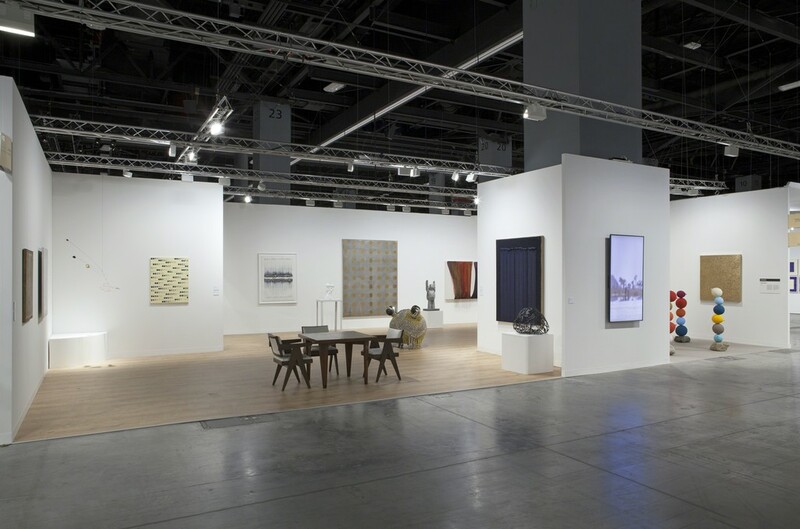 On view will be a variety of programs offered in different “sectors” beginning with the Galleries sector, which includes leading international galleries; the Kabinett sector, which introduces curated exhibitions based on an art-historical approach; and the Positions, Nova, and Conversations sectors. Kukje Gallery/Tina Kim Gallery will showcase major paintings, installations, and video works by both Korean and international contemporary artists. 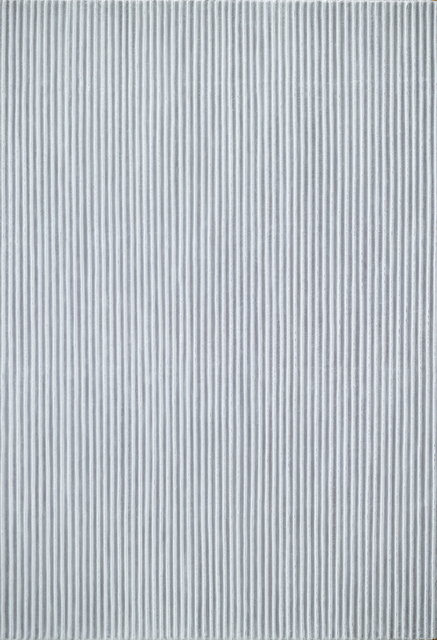 The booth will highlight important works by Dansaekhwa artists currently participating in the Shanghai-based Powerlong Museum’s Korean Abstract Art: Kim Whanki and Dansaekhwa exhibition (on view through March 2, 2019) including Kwon Young-Woo’s hanji (Korean paper) works from the 1980s, Park Seo-Bo’s Ecriture series Ecriture (描法) No.151005 (2015), Ha Chong-Hyun’s Conjunction series Conjunction 16-360 (2016), and Lee Ufan’s From Point 始於點 No.780211 (1978). 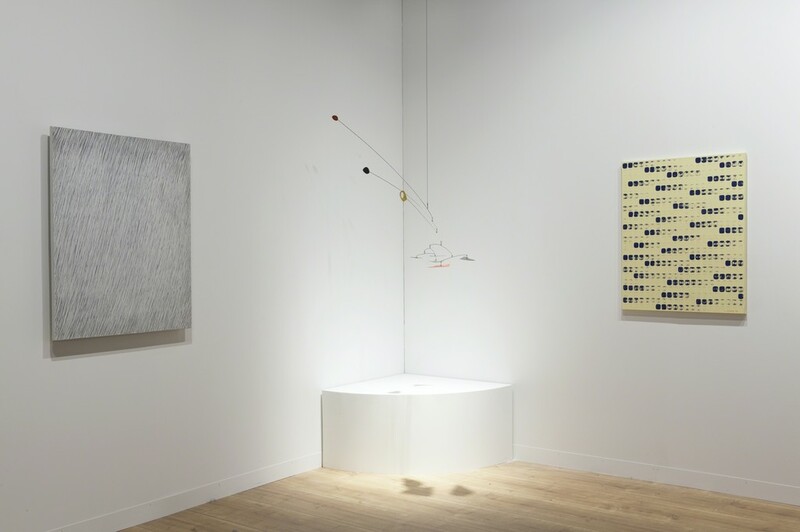 In addition, the booth will exhibit Untitled (1966) by Wook-kyung Choi; one of Kim Yong-Ik’s representative “dot paintings” made in 1991; Hardware Store Collages (2012 –) by Haegue Yang, a series of collages consisting of found images taken from hardware store catalogs; and SMS Detail DSK 01-03 (2017-2018) by Kyungah Ham, a work from her critically acclaimed series of hand-embroidered paintings created in collaboration with North Korean artisans. 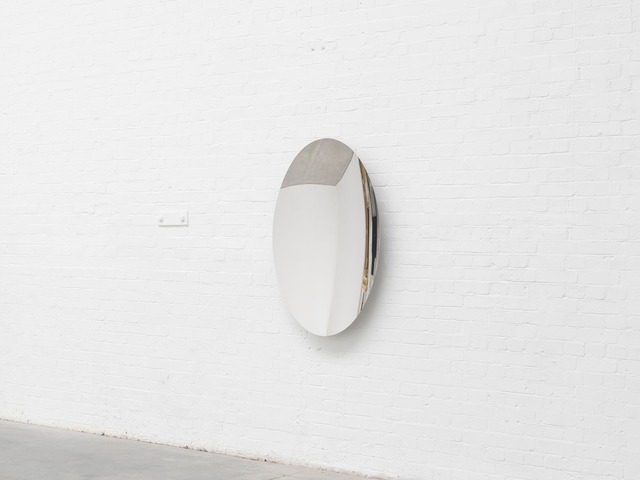 The booth will also showcase works by a roster of leading international contemporary artists including Ancestors (2012) by the video artist Bill Viola; Mirror (Oval) by Anish Kapoor, a new work that explores the material phenomenon of reflected light, Imogen walking. 2. 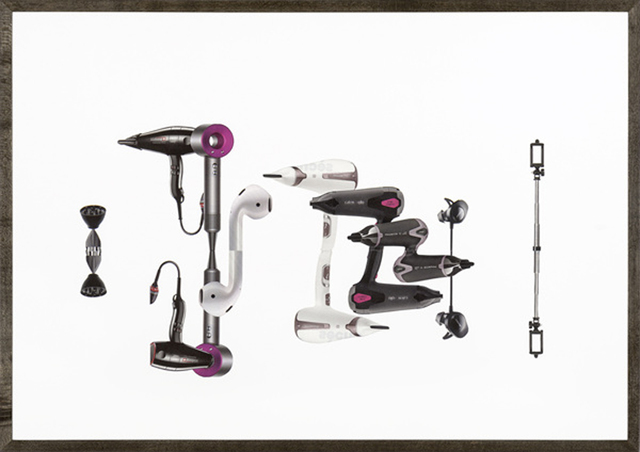 (2016) by Julian Opie, one of the artist’s ongoing series of multimedia investigations capturing humans walking and running; WHITE GIRLS (2017) by Ghada Amer, which employs the artist’s signature use of thread in combination with paint; Jean-Michel Othoniel’s new glass bead sculpture Collier Rose et Gris Mica (2018); and Sunday Paintings by Byron Kim, a series in which he paints a single painting of the sky every Sunday. The Kabinett sector features 31 curated exhibitions and will include work by Gimhongsok, who recently opened a solo exhibition titled Dwarf, Dust, Doubt at Tina Kim Gallery in New York (on view through November 30, 2018). 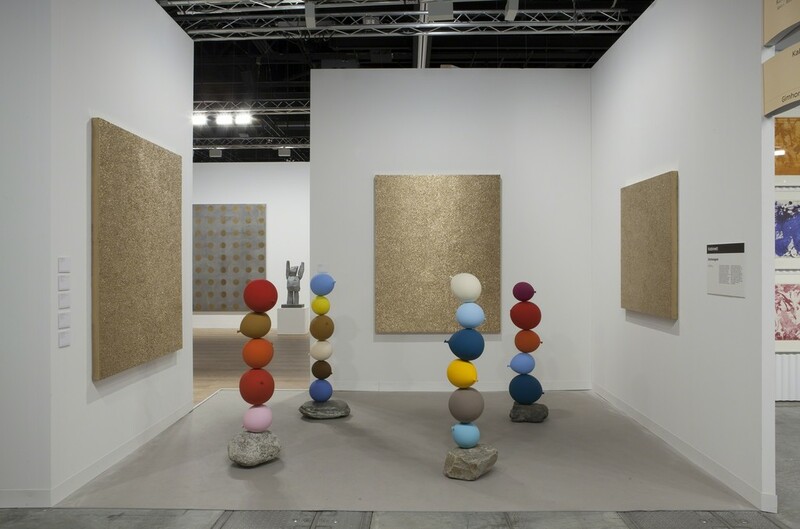 Gimhongsok will present Untitled (Short People) (2018), a series of sculptures consisting of five or six cast bronze balloons stacked on top of each other to form a column. These colorful balloons are blown up by the artist’s friends and acquaintances before being cast, a process that signals a symbolic transformation of their breath into the final object. 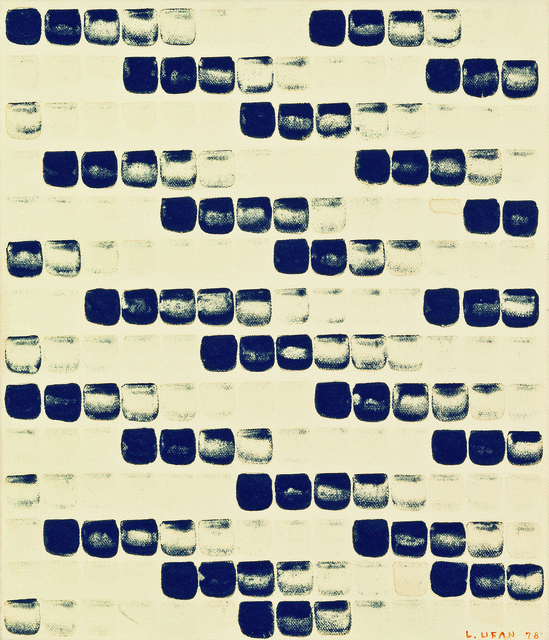 In addition, Gimhongsok will showcase a new painting After Oil (2018) that confronts the fetish of art capital by covering an oil painting with gold-colored industrial spray paint, thereby foregrounding its function as a commodity. Michael Joo will participate in a special exhibition at Untitled, Art, an art fair opening in conjunction with Art Basel Miami Beach. Presented by the LeRoy Neiman Center for Print Studies, Columbia University, Joo will showcase Huff Wall for Single Breath Transfer (2018), a newly configured variation of his ongoing Single Breath Transfer series. In this series the artist captures human breath in various paper and plastic bags that are then cast in glass. Single Breath Transfer was exhibited earlier this year in Joo’s solo exhibition titled Single Breath Transfer (November 30, 2017, through January 14, 2018) at Kukje Gallery. Upcoming shows at Kukje Gallery will include a solo exhibition by the London-based Colombian artist Oscar Murillo titled Catalyst through January 6, 2019. In addition, Kukje Gallery Busan will open a solo exhibition of Korean photographer Koo Bohnchang for the first time in seven years on December 14, 2018.